To ensure the integrity of the tasting experience, we kindly request that all guests are at least 12 years of age. If traveling with younger children, please call ahead to discuss other experiences. Explore the rich Inglenook legacy of winemaking that began in the late 1800s and continues to the present day. Guests are escorted on a walking tour of the estate. Covering the Chateau, vineyards, and Infinity caves, culminating in one of our private caves for a seated tasting paired with a selection of artisan cheeses. Advance reservations strongly recommended. 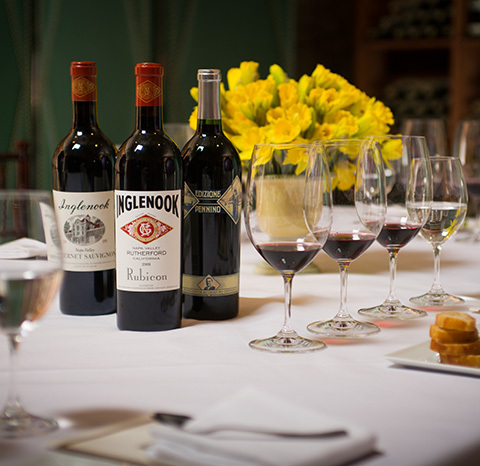 Excelsior and Rubicon members receive 25% off the Inglenook Experience and all other specialty tours. Learn more about Heritage Society.